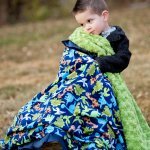 This sweet little blanket is full of dino sized fun! 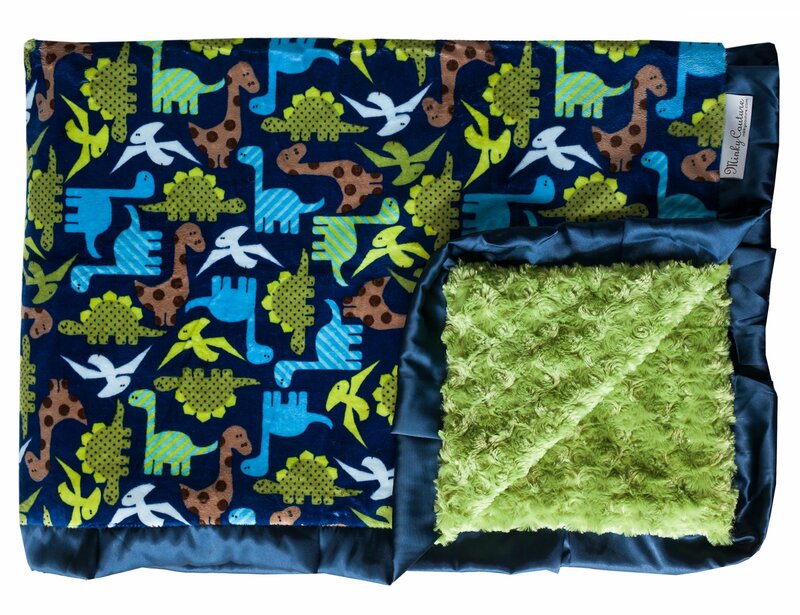 Bright, colorful and snuggly as can be, this blanket is sure to keep your future paleontologist cozy and warm. Blue, green and tan dinosaurs on a navy blue background. Apple green minky on the back and a navy satin ruffle.